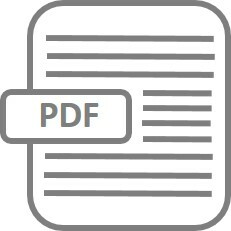 This 33-page Investigator’s Brochure Template is intended to assist you in the process of drafting an Investigator’s brochure for drugs based on ICH Topic E 6 (R1) “Guideline for Good Clinical Practice”. It is critical to have access to a properly designed Investigator’s Brochure Template in order to be compliant with ICH Topic E 6 (R1) “Guideline for Good Clinical Practice”. An investigator’s brochure (IB) is one of the most important documents used in clinical trials and serves as a label for the product until the results are clear enough to produce a label. It basically provides a detailed background and rationale for the investigational medicinal product as well as its current status in terms of the stage of trials, safety and efficacy to investigators, FDA personnel, IRB members and investors. IB needs to be updated at least once a year and more if there are updates and is often one of the common FDA’s areas of concern during a review and need to realistically reflect the benefits and risks of the investigational medicinal product. This is an MS Word template of an Investigator’s Brochure Template to be used as a starting point for drafting an Investigator’s Brochure to be provided to the investigators. The blank text place holders enclosed “<Enter Text>” indicates where a specific detail is to be inserted (replace as appropriate). Leave the template version information in the form and update according after each update. Use authoring notes throughout the template based on ICH Topic E 6 (R1) “Guideline for Good Clinical Practice”.